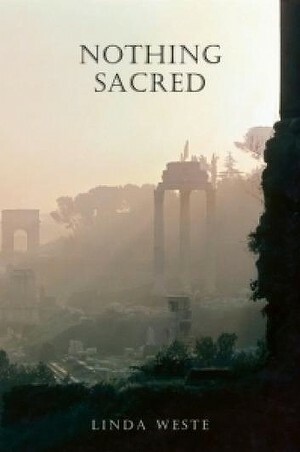 Nothing Sacred, a novel in free verse, spans an historical denouement: the decades precipitating the climatic assassination of Julius Caesar in 44 BCE, and the eventual fall of the late Roman Republic. After Caesar’s death, a second triumvirate was formed which would be the last oligarchy before the Roman Empire was established under Octavian Augustus. After history lessons and Shakespeare and HBO, it can be difficult to image that the major dramatis personae of this time were actually living and breathing this end of an era. What would it have been like? Is it possible to imagine Caesar, Mark Antony, Cicero and Catullus, to name a few familiar names—and all of whom are ‘players’ in Nothing Sacred—free of set design and stage effects, character direction and costume, as like you or me dealing or not dealing with the signs of political and social unrest? he must gnaw at in frustration. If being at the Circus Maxima is ‘all about nisi videre et videri / seeing, and being seen’, what are we are really seeing when: A thin grey eel curls upward out of its mouth / and suddenly I can’t hear for squeals! (‘The Beast Within’). That’ll be … my turn … over. The rhythm of Weste’s verse relies on styles of poetic repetition, especially: alliteration, anaphora (word repetition), assonance (vowel repetition), and homoioteleuton (repetition of the endings of words)—styles associated with Catullus’ poetry, as well as the contemporary poetry of late Republic. Styles of poetic repetition, or figures of speech, serve to heighten emotional intensity before serving rhyme. With free verse, if rhyme predominates, poetic urgency can risk loosing its grip. Sometimes this is felt in Weste’s verse. But it can also be a tool, for example, when Clodius’ ‘grip’ is challenged: ‘The heated floor, the wisps of steam / That musky mildew smell; / But no conspirators as far as I can tell’ (‘Right Hand Man’). Often Weste allows her poems to slip in their meanings when end lines are left without full-stops, or with ellipses, or with a verb in its present participle form; such as, when ‘The beast surges through // Sideswiping red mud’, the crocodile gets to keep the human leg she’s won (‘Crocodilius’). Or when we hear Clodius’ last wishes for his enemy Milo: ‘To bob along like bloated meat // a nobody nudging the bank (‘Malediction’). The next poem ‘Obsession’ opens: ‘By the time we reach the shrine’. Nothing Sacred is a network of character narratives, which can challenge readers’ orientation, though Weste deploys a number of literary techniques to help the reader distinguish who is speaking, who is listening; most often, characters are named in dialogue. We also come to recognise characters’ speech patters, such as Cicero’s drawl, and Catullus’ Capote-like nips and desires, especially in the ‘Working the Room’ poems (I’m not the first reviewer to see Truman Capote in Weste’s Catullus). 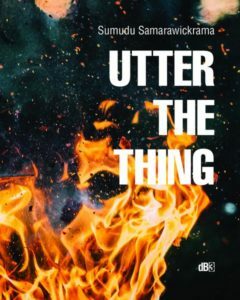 If I felt disorientated, it also felt like a necessary confusion, and this was what led to my thinking about characters’ narratives as parts of an intercommunicating body, a writhing city and its inhabitants, sensing its fissures. The tone of Nothing Sacred is like an extended denouement, a prolonged pre-climax, made more playful with, but not necessarily sustained by, Weste’s interest in sexual metaphor, or Latin ‘vulgarisms’, most of which are listed in an interesting and useful Notes section. Character tones range from playful to conspiratorial, deliberation to preparation, vigilant to radical. But the overall tone, or sensation, of coming-to seems to be sustained by Clodia, who is all of these actions, feeding the narrative’s (or body’s) momentum more than any other character; in a way, the narrative is Clodia’s body, whose voice opens and closes Nothing Sacred. Weste’s verse novel adds to the still increasing number of published verse novels by Australian poets. Recent others include, The Petrov Poems (2013) by Lesley Lebkowicz and Jake (2008) by Judy Johnson on the Torres Strait pearl shell industry in the 1930s. The verse novel resurgence in Australia was largely led by the success (far-reaching readership) of Dorothy Porter’s verse novel The Monkey’s Mask (1994). The contemporary verse novel is an attractive entry into poetry for new readers—for its readability—which Nothing Sacred delivers, and more for the reader of poetry. Overseas, verse novels make best-seller lists; for example, Omeros (1990) by Caribbean poet Derek Walcott, and, more recently, the experimental verse novels The Autobiography of Red (1998) and Red Doc> (2013) by Canadian poet Anne Carson. Nothing Sacred is for an international audience (as much as an Australian one) for its historical material and contemporary verse. Somewhat comparable to Weste’s historical material is Peter Rose’s The Catullan Rag (1993), so far as both poets similarly understand Catullus from his poems (and extensive literary research on the poet). The potential of the verse novel reaches as far back as its ancient origins (Gilgamesh, Homer’s Illiad and Odyssey, epics during Augustus’ Rome by Virgil and Ovid) and as far forward as contemporary verse. Weste makes use of both arms’ length, manipulating historical material in its time and place to be re-seen, effectively giving us a new experience of the late Roman Republic.